Within minutes of Heidel House Resort, 99 holes of golf await at four renowned Wisconsin golf courses, including Tuscumbia Country Club and Lawsonia Golf Courses. 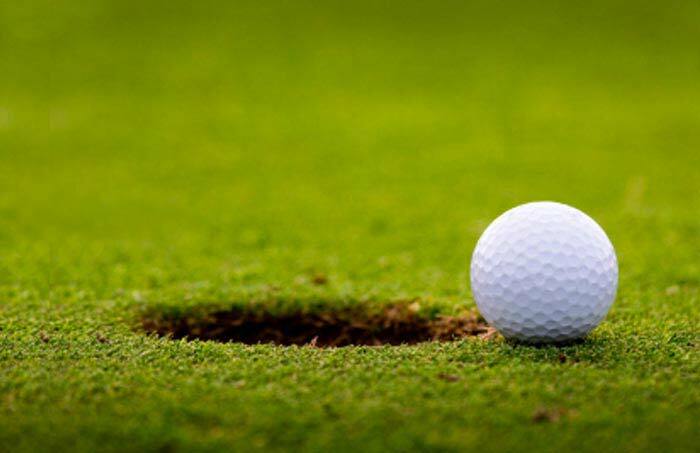 Golfing in Green Lake, WI is sure to challenge any golfer – young, old, novice or expert. When you choose our overnight golf packages we’ll even arrange your tee times! 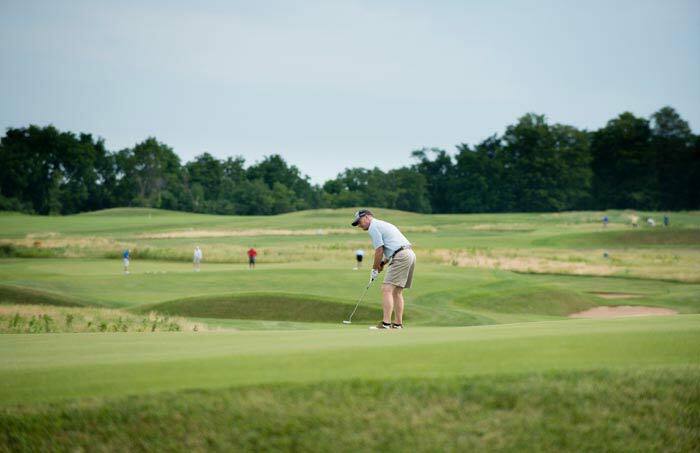 Pick a course and let your Wisconsin golf getaway begin. We've partnered with The Golf Courses of Lawsonia, located minutes away from the resort, to bring you and your group discounts all season long! When you book 10+ rooms at Heidel House Resort & Spa, you can enjoy discounted tee times and replay rates at The Woodlands Course and The Links Course. Rates are based on availability of both Lawsonia and Heidel House. Fewer than five miles along the shoreline you’ll find yourself on The Golf Courses of Lawsonia, offering two different Wisconsin golf experiences in one beautiful spot. 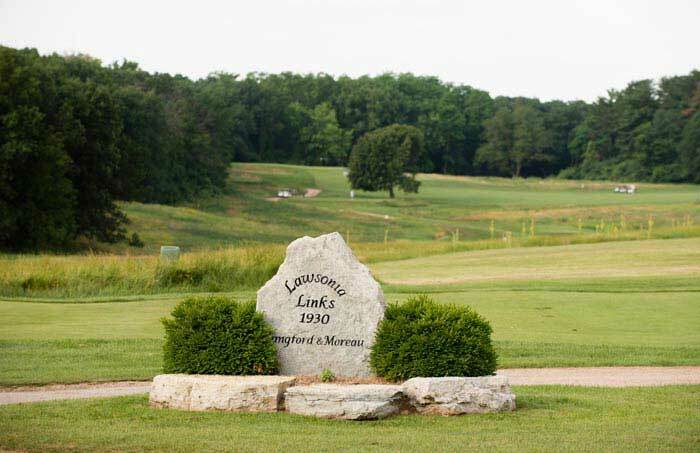 Golf Digest called Lawsonia one of America’s best and most affordable public courses. It was also selected as #2 in the state by the Milwaukee Journal Sentinel. Just across the street to Heidel House Resort, Tuscumbia offers an 18-hole, 6,301 yard, par 71 layout, known as one of the best manicured courses in Wisconsin. It is also the oldest Wisconsin golf course, opening in 1896. 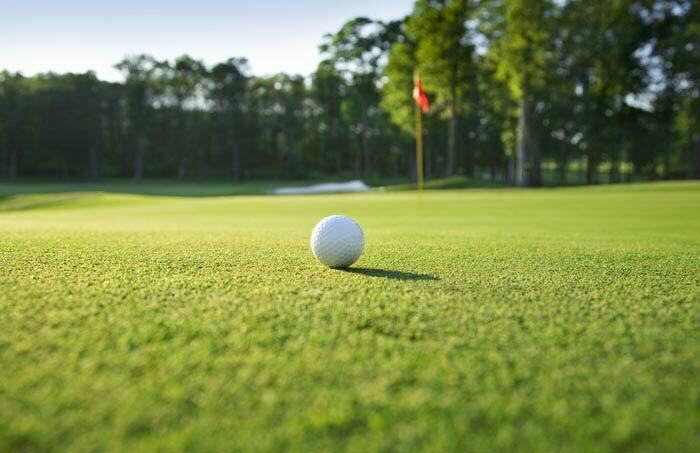 Rolling terrain and thousands of trees make Tuscumbia an exciting golf course for any level golfer. It features a huge clubhouse with dining facilities, locker rooms, driving range, tennis courts, putting green and fully stocked pro shop. In just under a 15-minute drive, you could be teeing up at the Mascoutin Golf Club. Challenging and beautiful, it is home to many state and area tournaments. Mascoutin’s large, undulating greens, water hazards, 60 sand traps and prevailing south and southwest winds provide an ever-changing variety of shots for golfers of all calibers. Mascoutin’s newest nine holes offer a unique challenge, from forced natural hazard carries to tricky elevation changes. You were looking for a good time and a great Wisconsin golf course. Here it is. Although 30 minutes away from Heidel House Resort, White Lake’s beauty and challenges are enough to draw in any player looking for an exhilarating Wisconsin golf course. Situated in the heart of glacier-formed land, White Lake offers an 18-hole course with scenic hilltop views and sloped greens to free-roaming peacocks and spring-fed ponds. Doglegs and elevation changes abound, making this course a real thrill to conquer.